The importance of light and heat is at the very centre of what we do. Allowing good, natural light into a room or office can have an extremely profound effect on employees or residents. Equally, good insulating materials, including glazing, optimises energy consumption helping to maintain a constant ambient temperature. Pioneer Commercial provides these adaptable and versatile solutions in the form of a safe, secure, and professional installation of both uPVC and Aluminium windows/doors. From architects' drawings, right through to the full installation, Pioneer Commercial are able to complete the work in the projected timeframe, replete with high-performing products, superior fabrication, and professional installation, giving any building the finish and performance it requires. Our capacity ranges from aluminium shopline products and curtain walling for businesses. 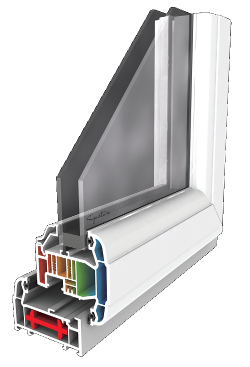 Aluminium or uPVC windows and doors for residential & commercial buildings. We have experience installing in social housing, flats, government buildings, hospitals, schools, businesses etc. The Pioneer group consists of a multitude of disciplines. All relevant to one another, they combine and drive the continued growth and success of Pioneer Commercial. We believe that complete ownership of a task leads to a thorough, and well-executed job. To complete a project Pioneer Commercial understands what is required. We also know that procedures and certification are as important as the products we install. This ensures we provide a dependable full-service sub-contract capability.